We offer our professional print management service to customers throughout Milton Keynes and the rest of the UK. At Nationwide Copiers & Sales Ltd, we offer our print management service to customers throughout Milton Keynes and the rest of the UK. As a PaperCut reseller, we can offer effective print management software. The print management software we offer can be easily installed on any type of print server and can be used to monitor both printers and copiers. Over the years we have supplied print management software to many businesses throughout Milton Keynes and the rest of the UK. If you’re looking for a print management solution, then be sure to get in touch with Nationwide Copiers & Sales Ltd. Effective print management will help your business to save money in the long run. You have full control over the software and can restrict the amount of items being printed or copied. The print management software we offer is available to both businesses and schools throughout Milton Keynes and the UK. Why Should I Choose Print Management? These are just some of the main benefits that printing management offers. 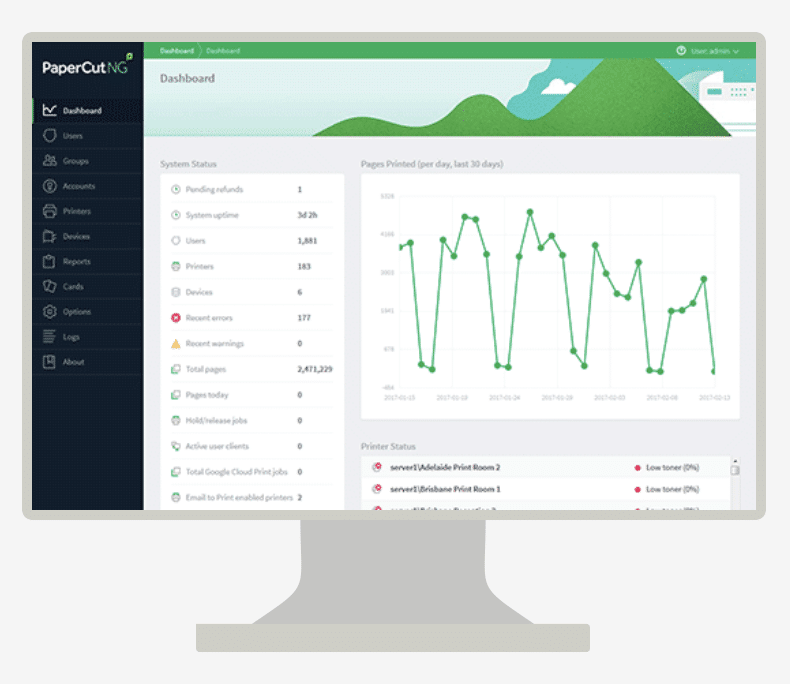 For more information on the print management software we offer from PaperCut please don’t hesitate to get in touch with us. One of our team is always on hand to answer questions and deal with enquiries. Why Choose Us For Print Management? If you’re looking for a company that offers print management then be sure to get in touch with Nationwide Copiers & Sales Ltd. As a PaperCut reseller, we can provide effective software to help you reduce printing costs and better management the printing in your business or school. No matter what your print management requirements might be, we can provide an effective solution to help you enforce a better print policy. Get in touch today to discuss print management.